"Between 1915 and 1970, more than 6 million African-Americans moved out of the South to cities across the Northeast, Midwest and West. This relocation — called the Great Migration — resulted in massive demographic shifts across the United States. Between 1910 and 1930, cities such as New York, Chicago, Detroit and Cleveland saw their African-American populations grow by about 40 percent, and the number of African-Americans employed in industrial jobs nearly doubled." "Wilkerson, a Pulitzer Prize-winning journalist for the New York Times, has taken what many would consider an indigestible chunk of history — long and sometimes famously written about by earlier historians and sociologists — and given us an extraordinarily palatable narrative." 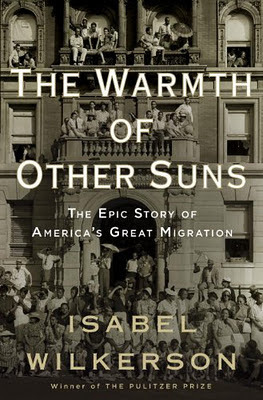 This is a well-researched, well-written and important contribution to U.S. History. It is a microcosm of the life of many who have left familiar settings - inside and outside of the United States - to make a better life for their family. A great book.